Comments: A very popular vertical half-folio of the trail to the summit of Mt. Sinai. One of the very attractive and popular St. Catherine series of prints. 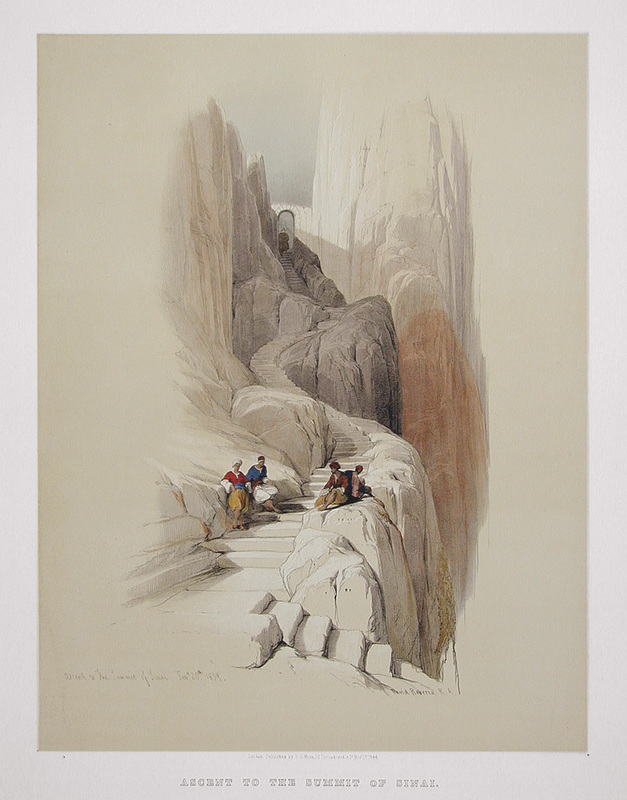 Title: Ascent to the Summit of the Sinai. Paper: 15 7/8" x 24 1/8". Image: Approx. 13 1/2" x 10"